Daves 2011 landscape calendar with some of his favourite shots of the last years. From Icelands Glaciers south to the Austrian Alps, you experience a wide range of stunning landscapes. Get the 2011 Landscape Calendar now! Daves image Like a Candle in the Wind is published in the Dutch Photo Magazine Chip Foto Video Digital, Issue 01/2010. The article is about tips and tricks of landscape photography in general and some special techniques like long exposures (>30 seconds) for your artistic expression. We're really proud to announce that Daves photograph Alone Again won 1st place in National Geographics "Mein Paradies" Contest. The photo is published on National Geographics Website and Magazine, Issue 01/2010. Daves 2010 landscape calendar with some of his favourite shots of the last years. Get the 2010 Landscape Calendar now! Dave Derbis was awarded in the International Photography Awards Competition. 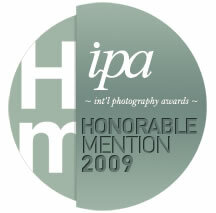 International Photography Awards (IPA) has announced the winners of 2009's competition. Dave Derbis was Awarded: Honorable Mention in Nature - Landscapes category for the winning entries "Ocean's Fury", "Forces of Nature", "One of us has died", "Like a candle in the wind", "Glacier Bay", "Forsaken Hospital". The 2009 International Photography Awards received nearly 18,000 submissions from 104 countries across the globe. IPA is a sister-effort of the Lucie Foundation, where the top three winners are announced at the annual Lucie Awards gala ceremony. The Foundation's mission is to honor master photographers, to discover new and emerging talent and to promote the appreciation of photography. Since 2003, IPA has had the privilege and opportunity to acknowledge and recognize contemporary photographer's accomplishments in this specialized and highly visible competition. They'll add a lot of uniqueness and creativity to the Site. You find more information about them on their Teampages or Websites. Enjoy the site and the beautiful landscapes!